It is foreseen that due to congested time span for the implementation of large oil, gas, & petrochemical projects in the next 5 years in the country, Iran will face shortage of experienced technical personnel. A number of highly experienced people have moved out of the country due to lack of "attractive" conditions or other personal reasons, the rest are already busy working in current projects and only for a great incentive would they leave their posts for other positions, which might not be ethically correct due to the negative impacts which their departure could possibly have on the project. For certain positions, qualified Iranian personnel are limited and almost non-existent. These positions include Senior Process Operators for specific plants, Instrument Operators experienced with new technologies, or OJT Training Coordinators. Dietsmann Comerint has expatriate personnel who have well over 20 years of experience in different petrochemical/gas plants all over the world including plants running with advanced technological equipment. Some of them are presently working in the South Pars Phases 4 & 5 (Assaluyeh) and Darkhovein (Ahwaz) projects. The second remaining group in the Iranian technical market which outnumbers any other group is the young workforce consisting of college/technical school graduates (no skill) or semi-skilled young individuals. With adequate or additional oil & gas based training, these groups could become specialized in specific fields thus competing with others skilled in the field. This program known as "Self Employment" would be very beneficial to our country. The young could become trained for specific job positions and thus become specialized, and self-reliant, and create jobs themselves. In this way, unemployment, a huge problem burdening the nation, could be greatly minimized. The objective of a training program is to give the trainees sufficient knowledge and practical ability to enable them to enter their work positions, gain experience under the guidance of experienced staff, and finally take over their work positions with full responsibility. In the oil & gas industry, training has to produce, in the shortest time and most cost-effective way, the standard competencies required to perform safely and with awareness, the assigned jobs. Therefore, the starting point of any plan of training is the competency profiles which should be obtained through formal, theoretical, and practical instructions. 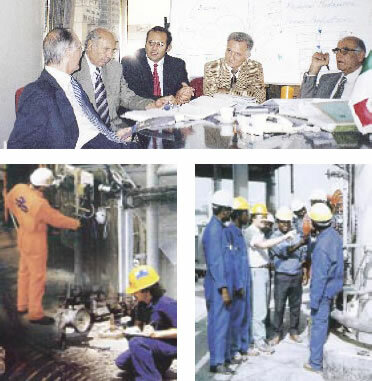 In 2002, Dietsmann Comerint won the contract by ENI Iran B.V to train its future operators for the South Pars Phases 4 & 5 plant by providing experienced instructors and the related training materials. It has now trained over 600 trainees at various locations in Tehran, Assaluyeh, and Isfahan providing theoretical and On the Job Training (OJT) programs. The training is almost complete and at present we are starting with the Darkhovein project at Ahwaz. During the Common Course, a firm and deep foundation on disciplines such as Process Production, Utilities, Laboratory, HSE, Mechanical, Electrical, and Instrument courses are taught to the trainees. Then he or she may begin more advanced training known as Specific Courses in one of the following disciplines: Process/Production, Mechanical Maintenance, Electrical Maintenance, or Instrument Maintenance depending on the assigned work positions and performance. In some cases, specific course training will be designed as to deliver "multi-purpose" technicians when actual plant positions of the trainees have not been defined by the operating company. The Specific Course contains customized or "tailored" materials applicable to the plant where the trainees will be working. Assisting the trainee in his or her development may be a tedious, time consuming procedure. One trainee may progress more quickly or slowly than another. For any training program to work, the supervisor has to understand that training is a continuous process. The purpose of OJT is to train personnel on the actual equipment, procedures, and operations at the site that will be the place of their job, and to guide them to be efficient and self-reliant in their future positions. To have the ability to carry out standard operations, routine operations, and most importantly emergency operations is another goal of OJT. Dynamic Training Simulation (DTS) is a well known tool in the oil and gas sector. Dietsmann Comerint has developed the DTS, which is tailored on the specific plant unit and integrated by other aids in order to support training projects characterized by quicker transfer of know-how and high efficiency. Practicing in a risk-free environment, operator trainees can develop a better understanding of their process operation, so they can more effectively respond to both normal and abnormal operating conditions. The DTS will be the gate for new technologies and systems associated with an improvement of plant performances. We can never totally prevent accidents, but we are capable of minimizing the risk and its consequences by being aware of HSE issues. In its training plan, Dietsmann Comerint puts special emphasis on HSE training by inviting HSE professionals, well experienced in the oil & gas industry, to cover important topics, drills, and actual cases. During the progress and at the end of the formal training, the supervisor, together with the coordinator must conduct periodic evaluations to ensure that the trainee does not regress. The competency of the trainee is confidential which is directly reported to the client, such as 'competent' or 'not yet competent'. If it is found out that the trainee needs additional training, it will be reported as well. Some means of assessment during OJT are as follows: direct observation, inspection of output, simulation or testing and questioning. Dietsmann Comerint's team of trainers consists of individuals with substantial years of experience in the oil & gas sector, the majority having had previous experience within NIOC and highly qualified expatriate trainers who are called upon from Europe when required. From time to time, "train the trainer" sessions are also carried out in the main office by our coordinators so as to fine-tune the instruction experience of the local trainers. 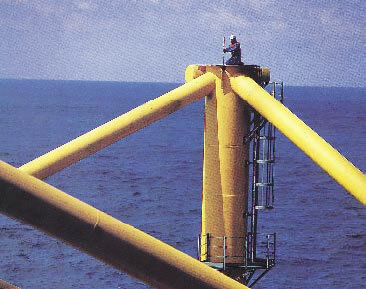 However without specialized personnel in the oil & gas industry, the above would be almost impossible. Currently, some working project managers worry about specialized personnel in their organization charts and face staffing problems. For example, when we are talking about the need for a welder, electrician, or an instrument specialist, thought should not be drawn to a welder of doors/windows, or a building electrician, or an ordinary instrument technician. 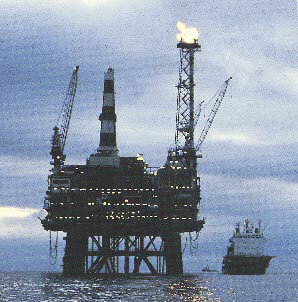 We are talking about oil & gas specialists in the areas of welding, electricity, or instrument. Unfortunately, in Iran, apart from the NIOC, there are not enough training centers which could train based on international oil & gas industry standards. Technical training in the country should be practical, goal-oriented, applicable, and efficient. It should be based on the needs of oil & gas industry and market. The only remedy is to implement this type of training even if it shall require the assistance of foreign experts in the beginning. In addition, training centers should be built as close as possible to the oil & gas plants such as in Assaluyeh soon. Through dynamic and innovative technical training in the oil & gas sector as mentioned above, the young workforce could become specialized, "self employed" and the problem of unemployment minimized. This will fulfill the needs of the oil & gas industry and further enhance the transfer of technology for generations to come.